Way Off Topic, But I would love if Garfield got rethemed like Professor Burps. Chessington has announced their new ride for 2017! In 2017 a 'new' ride will be opening themed to the Gruffalo! This could be really good as long as they make it feel authentic and magical without being tacky or patronizing, it should be a really good move for the park. 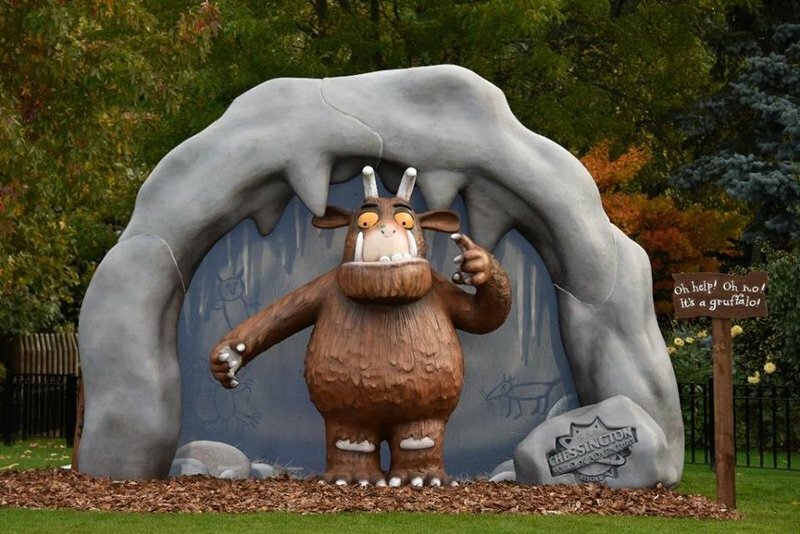 It is most likely moving into the building where Bubbleworks used to live and use the same ride system, just instead of a chaotic factory Chessington have said the riders will come "face to face with the Gruffalo". I really hope they do a good job on this one. We have a name for the new ride for 2017 (rethemed Bubbleworks). Ahead of the New Year’s Day announcement, it has been revealed on the Chessington short breaks website that the new attraction at Chessington World of Adventures Resort will be called The Gruffalo River Ride Adventure! The Gruffalo will also be arriving at the Safari Hotel in 2017 with the addition of new themed rooms featuring a range of interactive elements and a Gruffalo gift. As part of their stay guests will also receive Fastrack access to some of the Resort's rides including the new attraction. Today, Chessington hosted the media preview for their new area for 2018, Land of the Tiger, featuring Tiger Rock. Dragon Falls, the classic Mack Log Flume, has been rethemed in to the new area and is now intertwined with Tiger enclosures containing rare Amur Tigers. Today Chessington have opened Room on a Broom - A Magical Journey. It's a nice walk-through attraction for younger guests, based on the popular childern's book by author Julia Donaldson and illustrator Axel Scheffler.